Big Brothers Big Sisters is celebrating 50 years in NM! To celebrate, we’re asking you to share your story with us about how BBBS has impacted your life. 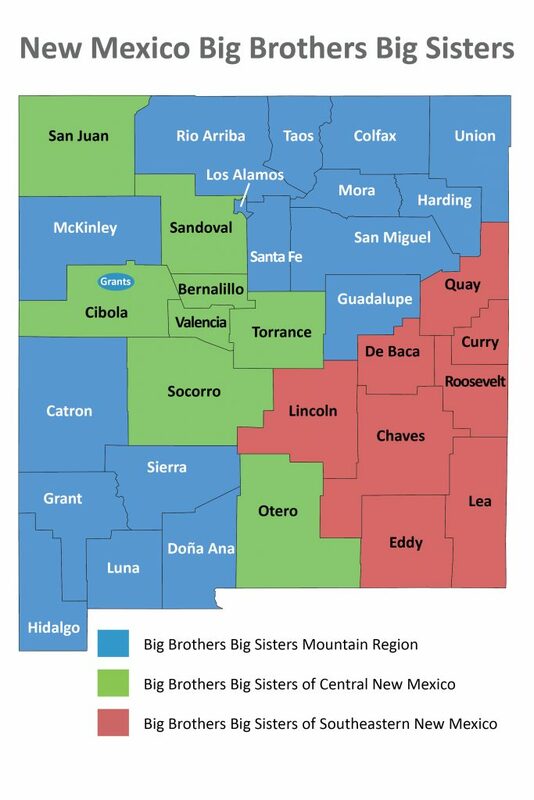 Big Brothers Big Sisters serves over 2,800 youth in the state of NM. We have 3 affiliates, each with multiple field offices in our state. To learn more about each affiliate, click on the “read more” button above that corresponds with the county you live in (see county map for reference). Bowl for Kids’ Sake is one of Big Brothers Big Sisters biggest annual fundraisers. As a peer-to-peer campaign, all you need to do is ask a few friends and family to help you reach your fundraising goal. Will you stand with us to help all NM kids reach their biggest possible future?